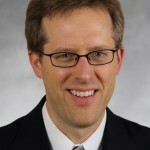 Dr. Chad Winterfeldt, who has served as an organist and adjunct instructor in the Music Department at Gustavus Adolphus College since 2004, has been named the College’s new Cantor. Dr. Winterfeldt will begin his new duties on August 1, 2014. 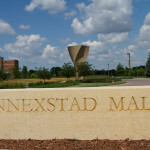 The Board of Trustees of Gustavus Adolphus College has announced that the recently developed West Mall will now be known as the Annexstad Family Mall in recognition of Al and Cathy Annexstad for their years of support of the College through the Annexstad Family Foundation Scholarship Program. 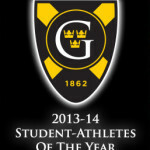 To officially close the 2013-14 academic year, the Gustavus Adolphus Sports Information Department is proud to announce senior football player Jeffrey Dubose and senior swimmer Alissa Tinklenberg as this season’s Male and Female Student-Athletes of the Year. The 50th annual Nobel Conference: Where Does Science Go From Here?, scheduled for October 7-8, 2014, will assemble previous Nobel Conference participants to look at recent advances and future directions in the physical sciences, evolutionary biology and ecology, medicine and physiology, and the intersection of science and public policy. 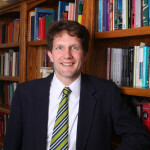 The Loeb Classical Library Foundation at Harvard University has awarded a Loeb Classical Library Fellowship to Gustavus Adolphus College Professor of Classics Eric Dugdale for the 2014-15 academic year. 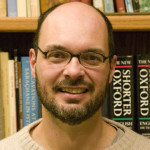 Dugdale received the $34,000 fellowship for his book project on empathy in Greek tragedy in performance. Due to flooding in Southern Minnesota, several roads including Highways 169, 22, and 99 have been affected in and around St. Peter. Anybody traveling to Gustavus should visit the website 511mn.org for the latest information and the best route to the College. The College will remain open and is looking forward to hosting summer athletic and academic programs as well as visitors for Minnesota Private College Week. 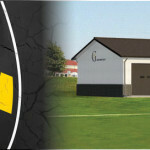 On Saturday, May 31, a group of 40 donors, alumni, family members and student-athletes of Gustavus Adolphus College and its men’s and women’s golf programs attended the groundbreaking ceremony of the state-of-the-art Drenttel Golf Facility. The building site is west of the Swanson Tennis Center on the northwest corner of the campus. 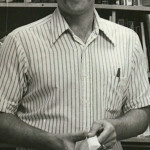 As the retirement of professors Tim Robinson, Richard Martin and Barbara Simpson coincides with commencement this weekend, many are taking time to commemorate their contributions—from their dedication as teachers to their research as distinguished scholars. Combined, this trio has given more then 130 years of service to the College, imbuing the Psychological Science Department with a legacy of scholarly ambition, community, and mentorship. 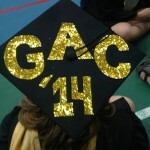 Rain forced Gustavus Adolphus College commencement exercises indoors on Sunday, June 1, but that didn't dampen the mood on campus as 553 seniors received their degrees inside Lund Arena. Associate Professor and Chair of the Classics Department at Gustavus Adolphus College Matt Panciera, received the 2014 Edgar M. Carlson Award for Distinguished Teaching during the College’s commencement exercises on Sunday, June 1. Panciera was presented the award by the 2013 recipient, Associate Professor of English Rebecca Fremo.